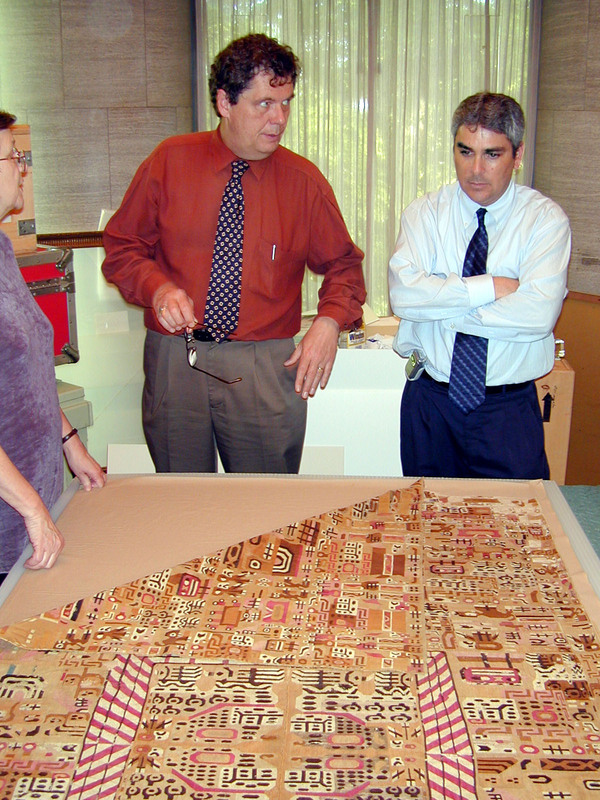 Elizabeth Benson and James Mayo installing the Robert Woods Bliss Collection of Pre-Columbian Art, ca. 1963. Although Pre-Columbian Studies at Dumbarton Oaks can be dated to 1963, it matured somewhat slowly as a program and became full-fledged only in 1970 with the appointment of its first fellow, Arthur Miller. In December of 1963, curator Elizabeth P. Benson and director John S. Thacher opened the Robert Woods Bliss Collection of Pre-Columbian Art. The collection, formerly exhibited at the National Gallery of Art, was beautifully installed in a glass-walled pavilion designed by the architect Philip Johnson. In addition to the art collection, Robert Bliss had also given Dumbarton Oaks 2,400 books on Pre-Columbian art history, anthropology, and archaeology, and this library would provide the basis for the research program. In 1964, soon after the collection opened, Dumbarton Oaks appointed a Pre-Columbian Advisory Committee. Initially tasked with making recommendations on acquisitions for the collection, the Committee soon also came to advise on lecturers and conferences as well as on publications resulting from these events. Central to this early period in the development of the Pre-Columbian Studies program at Dumbarton Oaks was Michael D. Coe, professor of anthropology at Yale and a noted Mayanist. In 1963, Coe authored the Handbook of the Robert Woods Bliss Collection of Pre-Columbian Art and, in 1964, he was appointed Advisor for Pre-Columbian Art at Dumbarton Oaks, a position he would hold through 1979. Coe also gave the first Pre-Columbian public lecture at Dumbarton Oaks. On February 7, 1964, he delivered a paper, “The Beginning of Mesoamerican Civilization,” which would be the basis for a 1966 Dumbarton Oaks publication, An Early Stone Pectoral from Southeastern Mexico. This would be the first of a now 37-volume series of occasional papers in a series published by Dumbarton Oaks titled Dumbarton Oaks Pre-Columbian Art and Archaeology Studies. 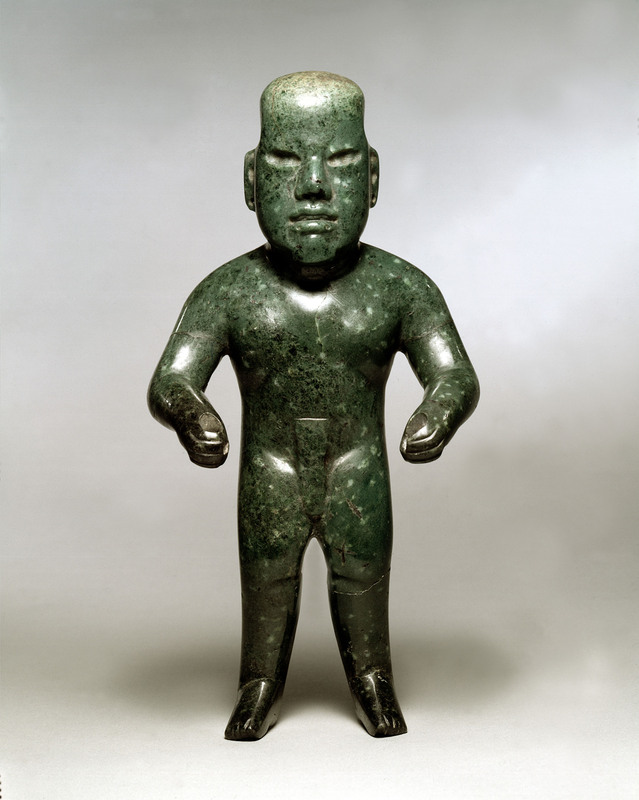 Standing figure, Olmec, 900–300 BCE, diospite-jadeite. Pre-Columbian Collection, PC.B.014, Dumbarton Oaks Research Library and Collection. Michael Coe also led the first Pre-Columbian symposium (then called a conference) in 1967. Titled the “Dumbarton Oaks Conference on the Olmec,” the papers would be published by Dumbarton Oaks the following year in a volume edited by Elizabeth Benson. The Olmec civilization was of particular significance to Dumbarton Oaks, as one of the first pieces of Pre-Columbian art that Robert Bliss had acquired in 1912 was an Olmec jadeite carving, although at the time of its purchase it was not yet recognized as being Olmec in origin. In addition, scholarly understanding of the antiquity of the Olmec culture had recently profited from the advent of carbon-14 dating technology, which helped to date the Olmec civilization to early within Pre-Columbian history (ca. 1500–300 BC). After the death of Mildred Bliss in 1969 and the appointment of a new director, William Royall Tyler, who served from 1969 to 1977, Pre-Columbian Studies at Dumbarton Oaks began to quickly evolve into a research program that was parallel, if smaller in scale, to the Byzantine Studies program. (The Garden and Landscape Studies program, then called Studies in Garden and Landscape Architecture, underwent a similar transformation at that time.) In 1970, the Robert Woods Bliss Fellowship in Pre-Columbian Studies was created, and the first fellowship was awarded to Arthur G. Miller. Miller worked for two years on a catalogue of the Teotihuacán mural fragments in Mexico, work that Dumbarton Oaks published as The Mural Painting of Teotihuacán in 1973. In 1971, the number of Bliss fellow appointments in Pre-Columbian Studies was increased to two with the appointment of the first doctoral candidate junior fellow, S. Jeffrey K. Wilkerson. 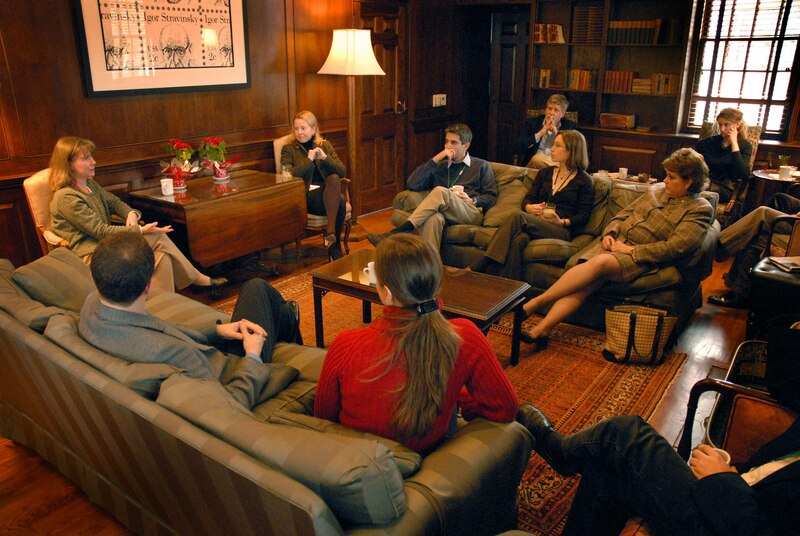 In 1973, the program invited its first visiting scholar, Floyd G. Lounsbury. Summer fellowship appointments were first made in 1980. The Pre-Columbian Studies program evolved in other ways as well. Although the program was initially grounded in the collection and the early publications and lectures were focused on Pre-Columbian art history, the research program quickly grew to be more inclusive of the varied disciplines that make up Pre-Columbian studies. Pre-Columbian history, anthropology, ethnography, and especially archaeology became important components of the studies program. This was due in large part to the next program director and curator, Elizabeth Hill Boone, and the noted archaeologist, Gordon R. Willey, who had served on the Board of Advisors since 1963 and would transition to the board of Senior Fellows in the 1970s. He was an influential chair of the senior fellows committee for over a decade between 1973 and 1986. During this period, the Pre-Columbian library also grew exponentially under the stewardship of librarian Bridget Gazzo and transitioned from a specialized art library to a world-class comprehensive collection. Since 1963, the Pre-Columbian library has since grown to more than 33,000 volumes. Pre-Columbian studies as a field or a discipline or area, realm, arena of discussion or interaction, really only exists at Dumbarton Oaks. So, by the very framing of the discourse as Pre-Columbian Studies, Dumbarton Oaks created a place and a space where art historians and field archaeologists and those who work in the early colonial period on documents and those who work in remote antiquity can all—not always all at the same time, but over the long haul, over years—have a place to meet, exchange views, and interact in ways that they often don’t get to do, or at least get to do as easily, elsewhere.